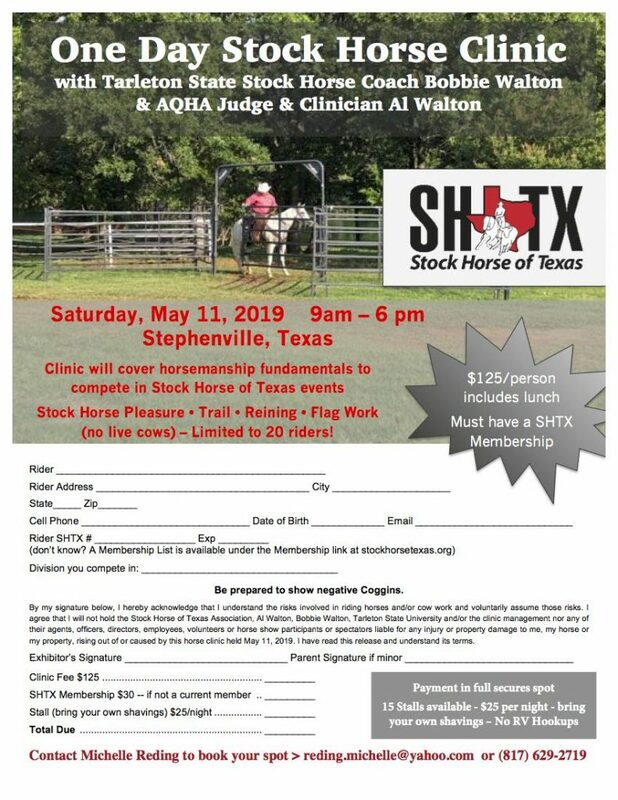 SHTX Stock Horse of Texas just added a new 1 Day Stock Horse Clinic on May 11, 2019 in Stephenville, TX, with Tarleton State Stock Horse Coach Bobbie Walton and AQHA Judge & Clinician Al Walton. 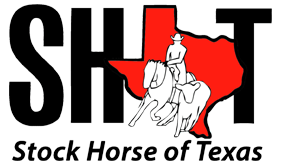 The clinic will cover horsemanship fundamentals to compete in Stock Horse of Texas events. These stand-alone clinics are very popular – this one will fill up fast. 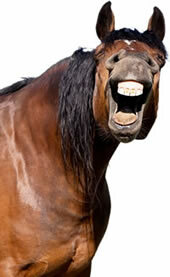 Payment secures your spot and all reservations must be made through Michelle Reding. This flyer can be printed and sent in as your reservation.